The secrets continue to spill out of Irrational Games, this time in the form of five unknown facts about System Shock 2, including how the game ended up with a completely different ending than it was meant to. It's always fun to look back on something and imagine "what might have been," particularly when the subject matter is highly respected and influential, and in the milieu of videogames there are few that can match System Shock 2 in that regard. But what if one idea have given way to another, or technology had been slightly more advanced, or somebody had stopped for a moment to give the whole thing a sober second thought? As Irrational Creative Director Ken Levine revealed, everything could have changed. "The original story had the player going to a spaceship to assassinate a character similar to Colonel Walter Kurtz from Apocalypse Now," he said. After pitching the idea to major publishers, Electronic Arts signed up and suggested making the game a sequel to the 1994 classic System Shock. 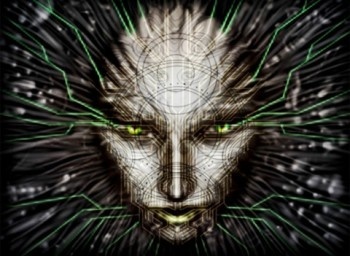 "You can't have a System Shock game without Shodan, so I wanted to rewrite everything," Levine continued. "I was such a System Shock fanboy that it was a dream come true to create the sequel." The game was created in a single room of about 900 square feet and while the team was inexperienced, in the long run that turned out to be an asset. "If we knew then what we know now, we probably would have just stopped in our tracks petrified, and not have been successful because we wouldn't have thought we could pull it off," Levine said. Perhaps most interesting is the fact that the ending of the game had to be rewritten in order to accommodate a closing cinematic that wasn't anything like what Levine had intended. "Due to miscommunications or differing ideas, a different cinematic video was created from the one that I originally scripted," he explained. "We had to write to the assets we had at that point, and all we could do was edit it. We completely ran out of time and that cut scene wasn't the right ending for the game."